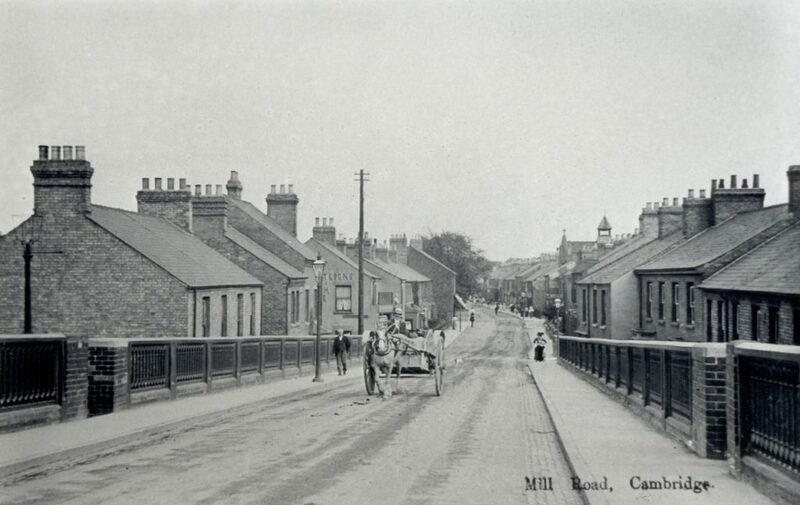 The bridge has been selected for research for the Mill Road History Society mainly because it is the symbol of the railway, whose coming to Cambridge in 1845 can be said to have created Mill Road. From the very start, the crossing, which predated the bridge, brought changes to the lives of the people using what was then a country track; the various bridges whose history are outlined in the report did the same. 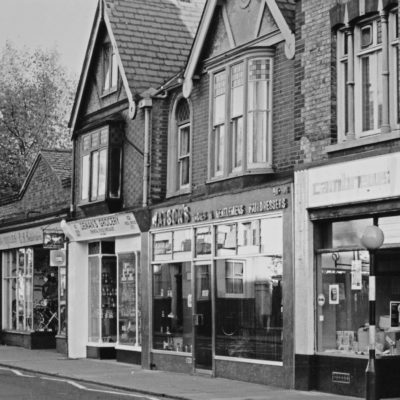 It is impossible to ignore the bridge on Mill Road; indeed, it is something of a defining landmark. It both divides the two wards of Romsey and Petersfield (often seen as very different in character) and also unites them. As such, it is a key part of the logo of the website www.mill-road.com created by the late Suzy Oakes, whose life is commemorated by a bench on the summit of the bridge. 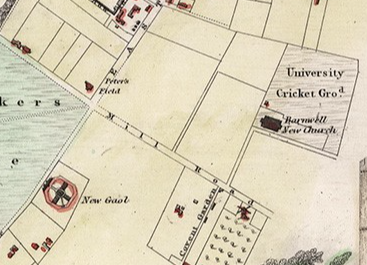 Before the railway came in 1845 Mill Road was just a level country track. There were two bridges and a level crossing before the bridge we have now. 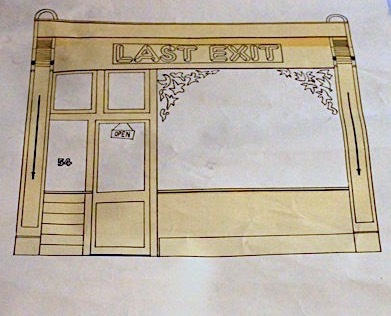 There were two murals before the one we have now. At the grand opening of the 1889 bridge the horse and carriage carrying the Mayor got stuck on top of the bridge and all the celebrities had to walk down. The 1889 bridge suffered bomb damage in the second world war. In the 1980s there were traffic lights on either side of the bridge causing long traffic jams on either side. 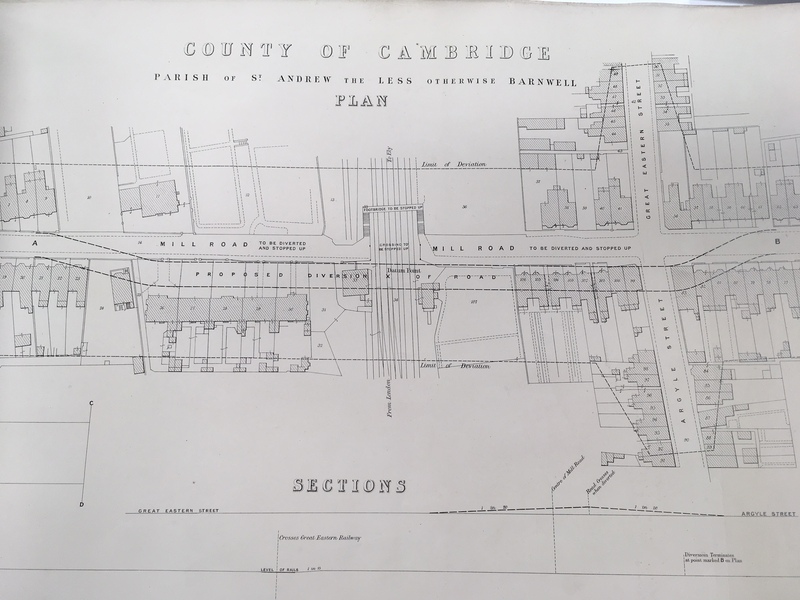 1845 – The Railway comes to Cambridge. Gt Eastern Railway lays tracks across Mill Road, then just a country track. 1846 (early) – Level Crossing and Gatekeepers Lodge built. 1889 – First Road bridge built. 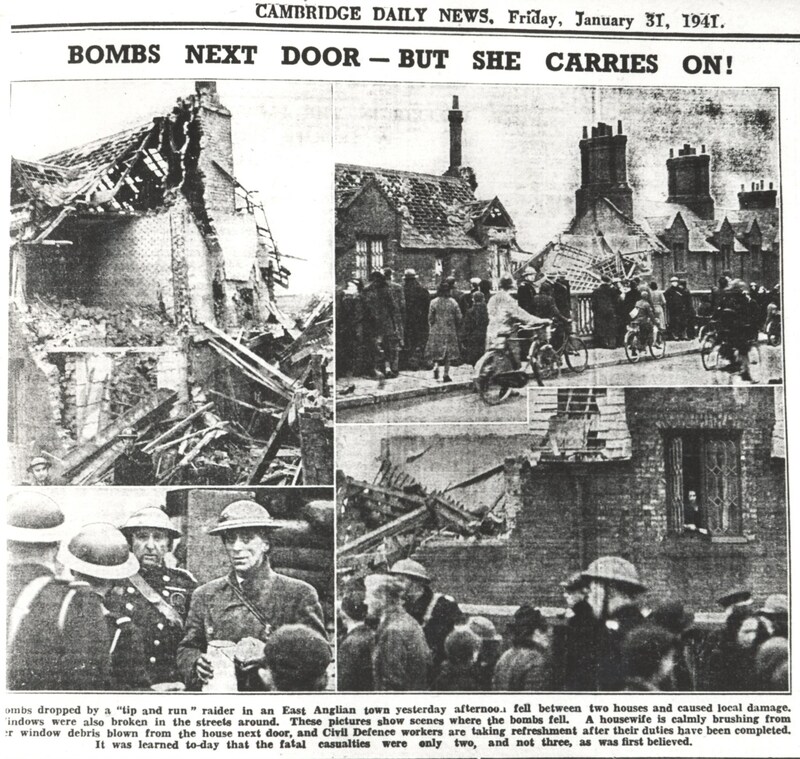 1941 (30 January) – Bridge bombed during Second World War. 1980 – Current bridge built. When the railway came to Cambridge in July 1845 crowds of people flocked to places where the trains could be easily seen. 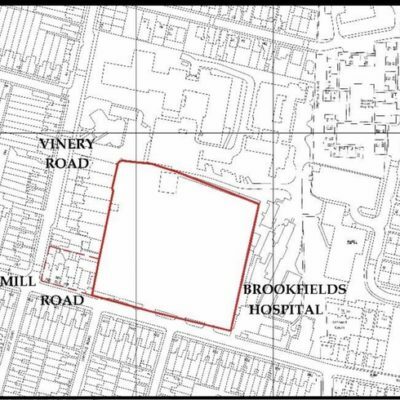 One of those places was what was then a country track, Mill Road. On Sunday, upon the Mill Road, there are sometimes between two and three hundred persons waiting to see the trains, including a large number of boys and girls, and despite the expostulations of the Company’s policeman, and another man, the people will keep crossing the line, immediately before the passing of the trains, in order that they may gain a better view of them. There were several near accidents and by September the town authorities stated ‘that it is absolutely necessary for the safety of the public that gates, closing on the railway, should be put across the Mill-road by the Great Eastern Railway Company and that a copy of this resolution be forwarded to the Secretary of the Company, by the Clerk of this Board’ CIP 06.09.1845. Whilst the level crossing gates were probably installed fairly quickly, it was over thirty years before Mill Road’s first bridge, a wooden footbridge was constructed over the tracks. 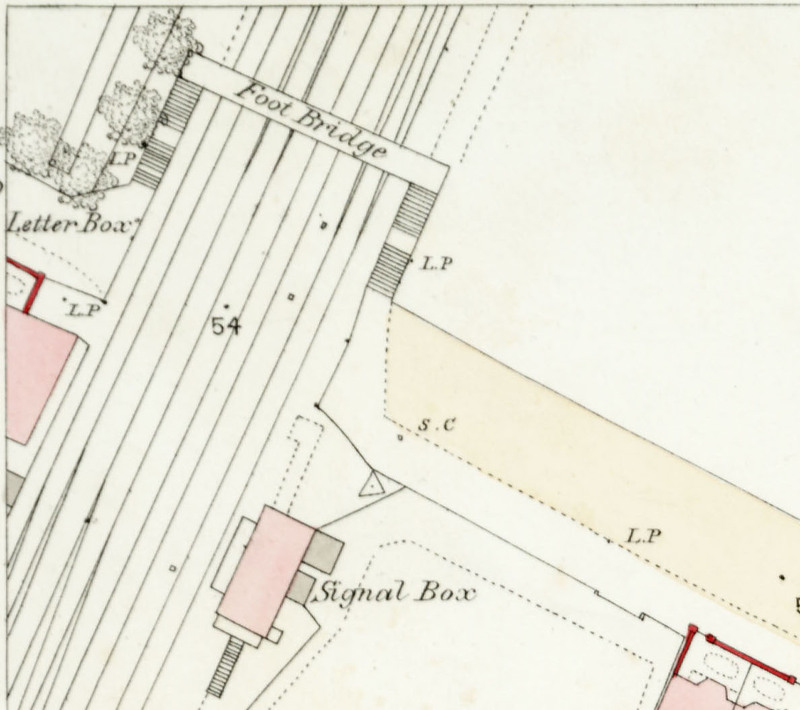 It can be seen in the map above, as can the level crossing gates and the signal box. 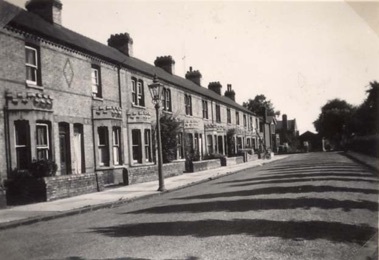 The gatekeepers house was near where Railway Cottages now stand. 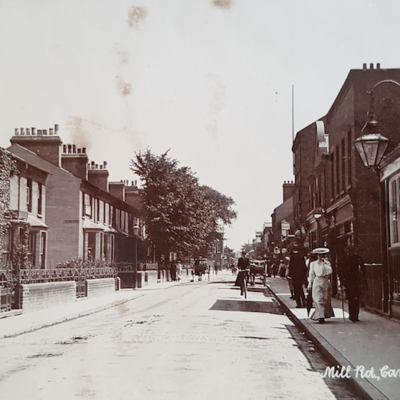 The footbridge may have helped pedestrians, but Mill Road and its side streets were developing very rapidly on both sides of the track so there was an increasing amount of road traffic, horses and carts, cattle driven to and from market, carriages and so on. Pressure began to build for a road bridge. I. What caused me Thomas Coulson to write to the Newspaper was in consequence of a scene which I witnessed caused by Horses, Carts, Perambulators and some aged people waiting for the gate, when some huge Bullock were driven up amongst them and caused great [blank] to those who were waiting the full particulars of which I gave to the press at the time and I can detail a lot of evidence about the dangers I have seen……. III. Mr Saint, Builder[,] says that he had seven horses and carts engaged carting over the line and from strict account he found that he had lost one shilling per diem by each horse and cart and one with the other seven shillings a day in addition to which the men had to wait and lose hire, all because of waiting at the Gate…..
VIII. Mr Negus detailed the wretched state of the wooden bridge quite spoiling the Ladies Dresses and at night it is quite a scandal through those who hang about the Bridge and it does not in any way meet the requirements of the District as there is now nearly two thousand who have to cross over the Structure or wait until the gate is open. Planning and debate took many years and much controversy, especially when the Railway Company proposed an extraordinary scheme to divert Mill Road with the road swerving to the north just after Devonshire Road, and joining the existing road just before Argyle St.
Plan showing proposed diversion. 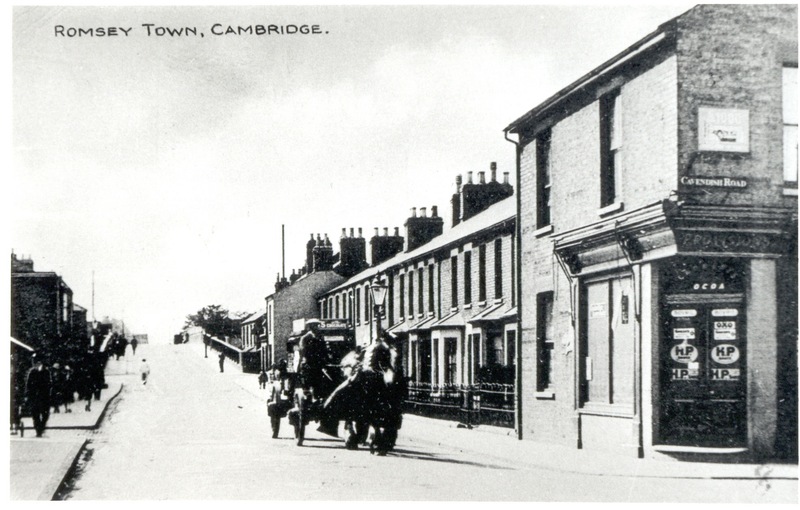 Courtesy of Cambridgeshire Archives. The ‘stump’ of Mill Road would have remained to allow access both to Gothic Cottage (still in existence) and to Mr Hedley’s ‘Eagle Foundry’ and his grand house The Limes, (now the site of the Depot) and the plan was probably proposed so that the Railway Company wasn’t forced into the expensive purchase of the Hedley property. At the same time extensive changes were being debated about the Hills Road and Cherry Hinton Bridges. Eventually after the Parliamentary Hearing which was customary to settle disputes between local authorities and the railways, costs to both sides were assigned and final plans agreed with the line of the road unaltered. The 1889 bridge was indeed handsome and served Mill Road for many years, fortunately surviving the near miss of a stick of bombs dropped from a German Dornier bomber plane on January 31st 1941. One man on the bridge at the time, John Lake, of Thoday Street, was killed; the main damage to property was to Railway Cottages, but a huge hole was blown into the railings of the bridge on the north side, and many remember the large metal plate which covered the gap for many years. [RS:] The houses were left derelict a long time and where the bomb went through the bridge, where there was all the railings all up the side, there was this big old cast-iron, metal plate bolted over it to stop the people going through it I suppose. It was there for ages. I wasn’t very old at the time. I don’t know how many years they left it like that. Throughout the 1960’s and 70’s British Rail carried out a nationwide programme of electrification, so it was clear to the city and county authorities that sooner or later the 1889 Mill Road Bridge would need to be demolished and a higher one built to accommodate the overhead electric cables. Again, the planning took many years and much debate (including arguments from ward councillors that separate provision should be made for cyclists). 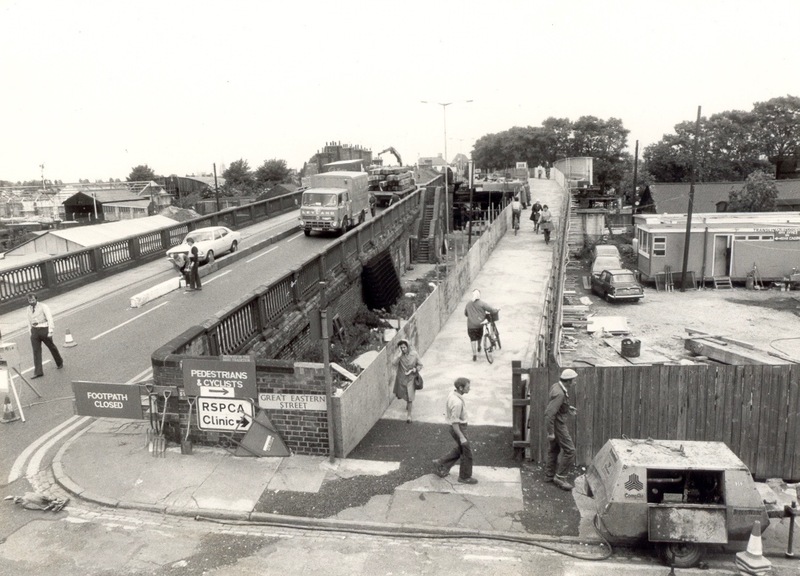 Eventually, in May 1980, building of the new bridge began alongside the old one, in an attempt to minimise disruption to road users. The final demolition of the old bridge took place over two days in November of that year. 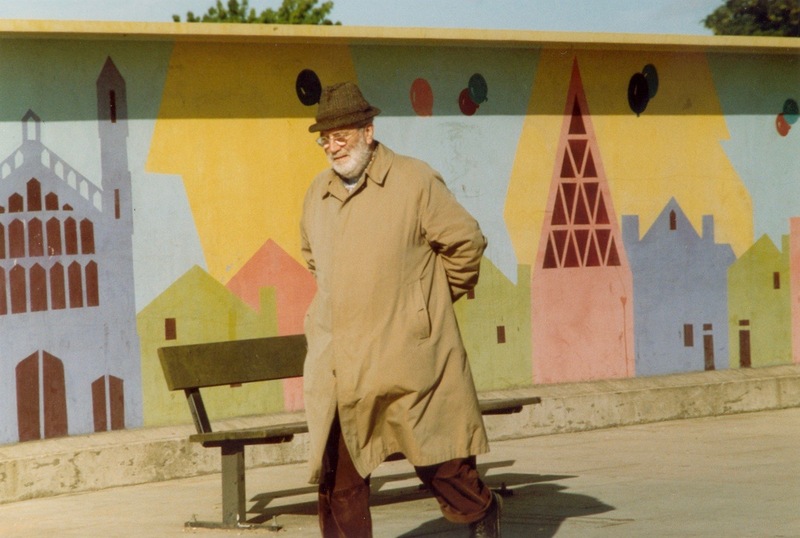 A second mural followed in 1997, again designed by students from Coleridge Community College ‘in the style of the Spanish Surrealist painter Jean Miro’, and the current one was completed in 2006, featuring designs from the Castle Project and Youth Foyer. Mill Road Bridge has been the starting point or the central point for many community events, from the protest ‘Reclaim the Streets’ of September 1996 to the handover of the Olympic Torch in July 2012. Every year, on the first Saturday of December during the annual Mill Road Winter Fair which sees the road closed to vehicles. Many hundreds of people enjoy a traffic-free walk over the bridge in a way that is reminiscent of those earlier residents of Mill Road who in 1845, also came to in their hundreds to the same spot to view the trains.